There are currently no Furr notable alumni listed. Be the first to add an FHS famous alumni. If you know someone who graduated from FHS in Houston, TX that has passed away, you can create a memorial for them. The alumni of Furr in Houston, Texas are encouraged to use this site to relive their time in high school by sharing with former students and teachers of Furr High School. You can also find out what other graduates are doing now, share memories with other alumn, upload pictures from FHS and find other alumni. If you are an alumn of Furr you should register now in the alumni directory. We also encourage you to interact with the rest of the alumni on this site. You can find old friends, share photos and stay updated on the latest school news. Kimberly Simmons has someone searching for them. Cesar Hernandez has someone searching for them. Iris Valdez has someone searching for them. Coefield Nicholas has someone searching for them. Brenda Cotter added photos to their personal photo gallery. Brenda Cotter updated her profile. Johnny Byrd added photos to their personal photo gallery. Johnny Byrd updated his profile. Brenda Cotter registered as a FHS Class of 1987 alumni. Brenda Cotter updated her profile picture. Howard Johnson registered as a FHS Class of 1999 alumni. Howard Johnson added photos to their personal photo gallery. Howard Johnson updated his profile picture. Daniel Davila updated his profile picture. Daniel Davila registered as a FHS Class of 1992 alumni. Daniel Davila added photos to their personal photo gallery. Daniel Davila requested a FHS yearbook from 1992. Sherry Thomas Johnson updated her profile. Sherry Thomas Johnson added photos to their personal photo gallery. 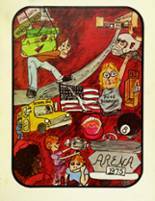 Sherry Thomas Johnson requested a FHS yearbook from 1977. Beth Neal Beauman registered as a FHS Class of 1969 alumni. Beth Neal Beauman updated her profile picture. Beth Neal Beauman added photos to their personal photo gallery. Beth Neal Beauman updated her profile. Lisa Gonzalez updated her profile picture. Lisa Gonzalez registered as a FHS alumni. Lisa Gonzalez added photos to their personal photo gallery.